If you're looking for the best places in Mississippi to stock up on skateboarding gear, you're in luck. There's a thriving skateboarding community in our state, with plenty of shops that carry the most cutting-edge gear and accessories. Here are the 10 best skate shops in the Magnolia State! Swell-O-Phonic isn't the biggest skate shop in the state, but it has one of the best selections, all run by a friendly and knowledgeable staff. Show your love for Jackson's funky Fondren neighborhood (where Swell-O-Phonic is located) with one of Studio Chane's custom Fondren shirts! Ya Ya's in Biloxi has been the coast's leading smoke shop and skate destination since 1992. This funky joint is home to an eclectic mishmash of skateboards, t-shirts, stickers, incense, posters, and so much more. The staff is friendly and helpful and will be more than happy to follow up with you if you don't find what you need on the first trip. Blue Pyramid is a relative newcomer to the Mississippi skate scene, having opened in 2014. Blue Pyramid primarily focuses on men's clothing, with a varied selection from the most exclusive brands around the country, including Popular Demand, Pink Dolphin, EPTM, M1, and more. Brazen Skateboards is a skate shop in Hattiesburg which carries both local and major skateboard brands. Brazen is the type of shop that brings the skating community together—since it's run by fellow skaters, there's a real feeling of authenticity in the building. They also host events at the nearby skate park. Gulfport Boardsports is owned and operated by Tommy Wittman and his wife Dana. They started as Gulfport Windsurfing, but the business has expanded over the years to include kiteboards, paddleboards, and skateboards. Headquartered in Edgewater Mall, Gulfport Boardsports also provides clothing, accessories, and expert lessons! 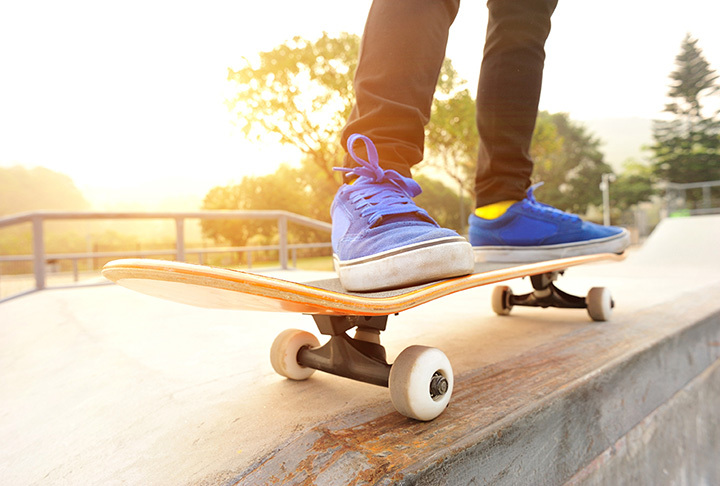 Sail Away Skateboard Co is a cool little shop in Bay-Waveland, but they're getting rave reviews from customers thanks to their top-notch service. This is the type of small-town business that really epitomizes what skating is all about—family and community. Be sure to keep up with them on Facebook for specials and cool events.